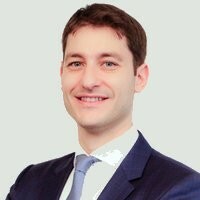 Donato joined Copernicus Asset Management in September 2018 as senior fund manager. He is currently PM responsible for White Fleet II – Thalia Select Ucits, a multistrategy fund of alternative Ucits funds, and for Thalia Alternative Sicav Global Macro, a fund of hedge funds with focus on global macro strategies. Previously he spent more than 13 years at Thalia SA, where he was lead analyst for fund selection in the alternative ucits and global macro space. Donato holds a Master’s degree in Financial Markets Management from Università Commerciale Luigi Bocconi-Milan.